Behold the timeless ethics that our Marines live and breathe! 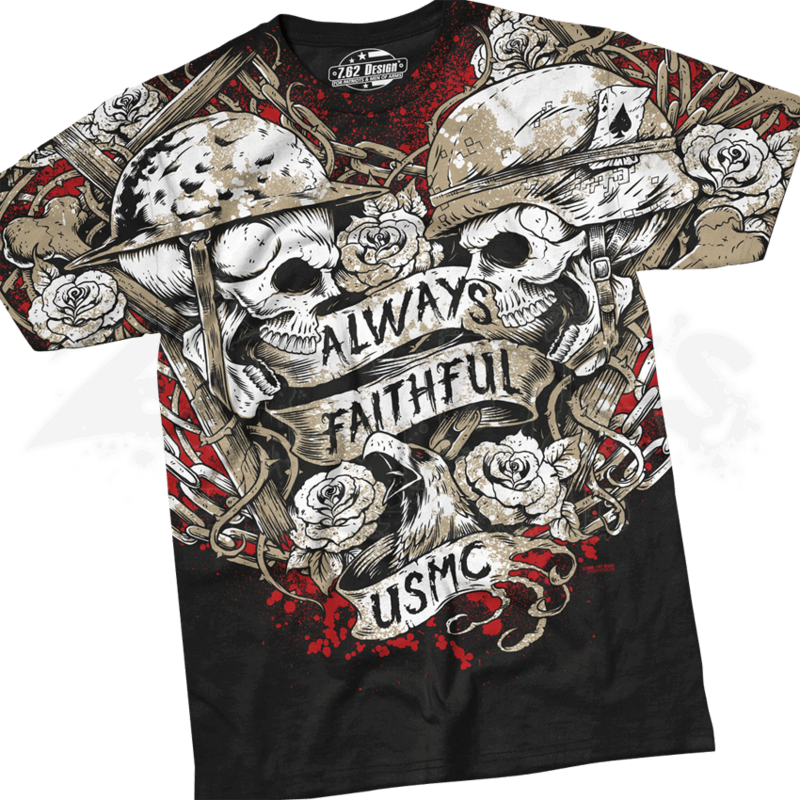 The USMC Always Faithful T-Shirt features the Marine motto, graphically rendered between two struggling skulls that embody raging chaos, battle, and war. This military shirt displays two skulls roaring in determination, each wearing a type of combat helmet. One of the skulls has an Ace of Spades stuck in the band. Thorny vines, bones, chains, and roses surround the skulls, as well as the banner that reads, Always Faithful USMC. A shrieking eagle appears at the bottom of the design. 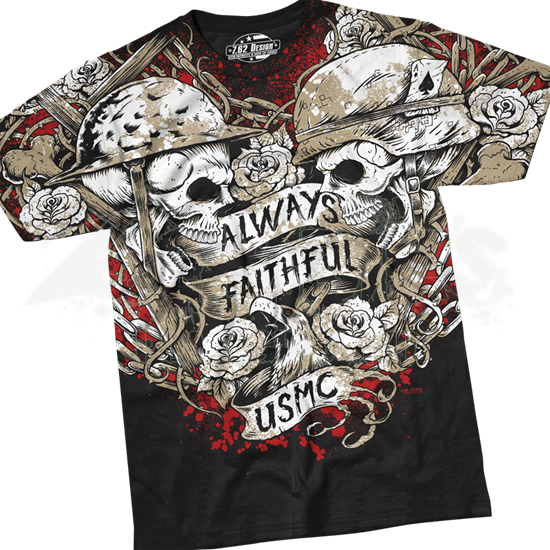 This USMC Semper Fidelis T-Shirt is officially licensed USMC apparel and offers the perfect way to show some pride in any marines you might know. Semper Fi!